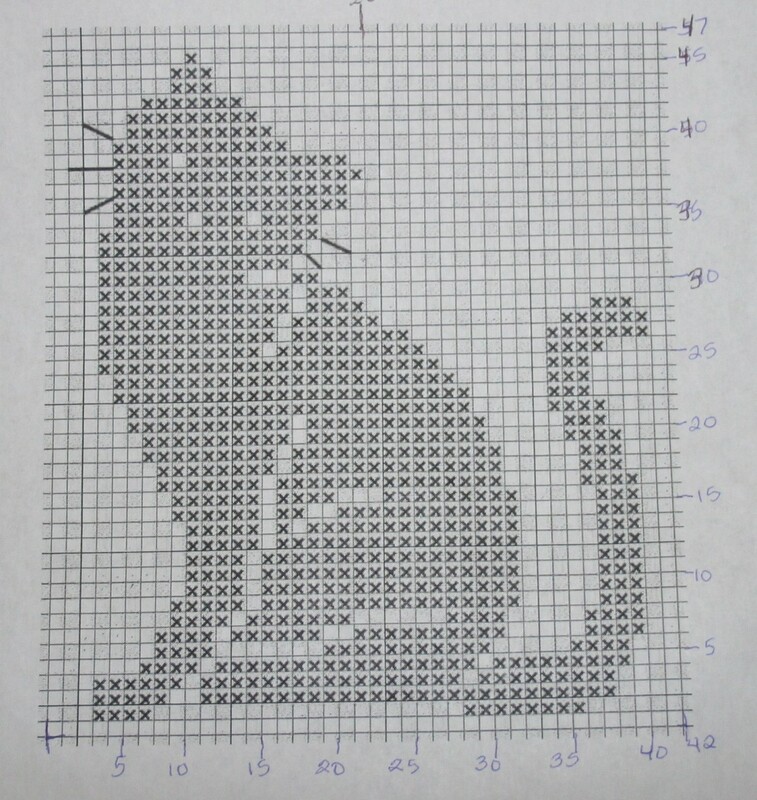 Tired of looking for crochet patterns in all the same places? 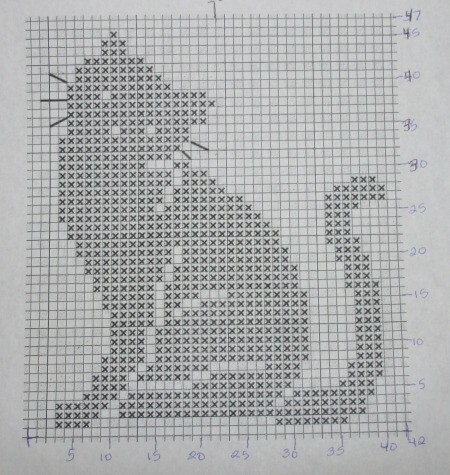 I found cross stitch patterns are very easy to use. 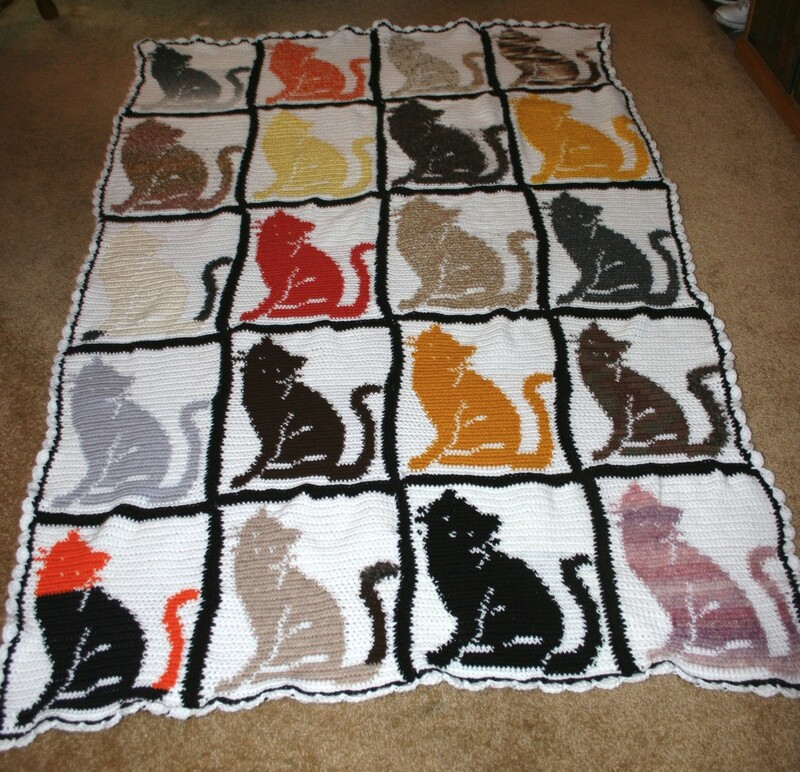 Each square is a single crochet. When changing colors, just place the one you aren't using on top of previous row and crochet over it until you need the color again. Here is an example of what can be done. 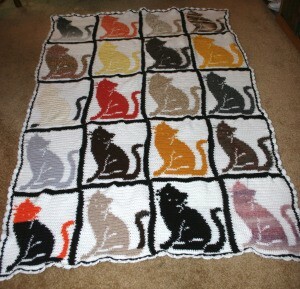 As you can see, I used scraps of yarn. It is a great way to use up your "Stash".